What is your most recent study about? The starting point is the multi-year controversy between the Albanians and the Yugoslavs on the authorship of the Kreshnik epic songs. I tried to analyse its political, social and cultural roots. These phenomena are very important for understanding the formation of modern nations in the Balkans and in Central and Eastern Europe, and the transition from oral interpersonal communication to writing, printing, and radio. 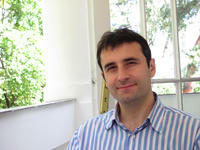 Rigels Halili, Slav and Albanian folklorist, is an associate professor in the Centre for Eastern European Studies at the University of Warsaw and the Institute of Slavic Philology at the University of Torun, in Poland. He recently published a comparative study of Serbian and Albanian national epic songs, emphasising their commonalities and their function in the formation of the respective nations. Such transition involves huge social changes. In addition, these songs are crucial at the stage where the ethnic or national groups initiate a process that will lead them to become modern nations – for the Balkans, this process began at the end of the 18th century, but mostly characterises the 19th, 20th, and even 21st century. In this process we have the nationalisation of local traditions or aspects of spiritual and material culture at the local and regional level, and their unification. What do you mean by controversy between the Albanians and the Yugoslavs on epic songs? It is about authorship. What I care about, however, is not who sang these songs first, but what has happened with these songs once the gusle / lahute have become national "tools", i.e. the Albanian lahuta and the gusla of the South Slavs. Anyway, whoever took these instruments in hand first was certainly neither Albanian nor Serbian as we know them today. Which region do these epic songs sing? Part of northern Albania, Kosovo, and the western part of southern Sandžak. Thanks to textbooks and literary adaptations for children by Mistrush Kuteli, and to films and clips on Youtube, this tradition no longer operates in Albania at the local level, but at the national one. Muji and Halil are no longer heroes of the songs of the mountainous area of Kelmendi, but have become Albanian national heroes, expression of the vitality of the nation. The lahuta – or gusla – has become a national symbol, integrated even by hip hop groups such as Etnoengjuj. These songs were developed in the days when oral tradition dominated, and then were collected according to certain criteria of canonization and unification, nationalized, and politicized – especially in the context of Serbian-Albanian relations in Kosovo in the 20th century. What inspired you to engage with this issue? I have always been very interested in Serbian-Albanian relations. I started thinking about this topic when I studied philology at the University Eqrem Cabej in my city, Gjirokastra. But I started to actually work on it after my studies in Warsaw and after learning the Serbian language well. Regrettably, few Albanian scholars speak Serbian and vice versa, except for the older generation of academics in Kosovo. The knowledge of Serbian has allowed me to do research in the areas of Rugova (Kosovo), Sandžak, and Montenegro. When were these cycles of epic songs created? There is no clear evidence. Serbian scholars relate them to the events of Vojna Krajina, on the border between the Ottoman Empire and the Hapsburg Empire. Albanian scholars, on the other hand, believe these songs to be older and to reflect conflicts between proto-Albanians and Slavs. What we can say with certainty is that these songs narrate various overlapping periods, since they reflect the reality of their times. For example, some songs tell of battles that took place with cold, medieval weapons rather than firearms. This dates them back to a period prior to the 15th century, since we know that firearms spread in the Balkans after the 16th century. What are the similarities between Albanian and Serbian songs? Here we need to group Serbian and Albanians songs on one side, and Bosnian and Montenegrin ones on the other. The heroes are Muj and Halil. In Serbian and Albanians songs, Muj and Halil are the main heroes, while in the Bosnian ones they can also be secondary. What these epic songs have in common is that they are monophonic, accompanied by the lahuta / gusla. Then, from the formal point of view, there are some regional variations. Primarily the geographical proximity, but in my next book I will try to show that these common traits also stem from a deep, even trilingual symbiosis among Slavs and Albanians in the Balkans during the Ottoman rule, as described very well by Milan Sufflay as regards the late Middle Ages. I am convinced that the symbiosis between Albanians and Slavs of the south continued during the Ottoman rule, but following religious categories – Albanian, Bosnian, and Montenegrin Muslims vs. Albanian, Serbian, Montenegrin, and Bosnian Christians. The meeting point of these traditions was the Sandzak region, where Milman Parry and Albert Lordi found Bosnian and Muslim Albanian bilingual singers both before and after the Second World War. I also met bilingual singers in the summer of 2006, but they then sang lyrical, light songs. Are Serbs and Albanians aware of of these commonalities? Cultural elites are aware of commonalities as well as of the differences, less so the ordinary readers. But often these aspects are distorted because of stereotypes, certain political situations, and lack of knowledge related to the fact that Albanian, Serbian, and Bosnian scholars typically do not read the language of those with whom they debate. I happened to hear scientific speeches full of pathos and literary transfigurations, but with little science and rational arguments. I especially speak of Albanians. How did these song cycles become the basis for the formation of national identities? In the case of Serbs as an ethnic group or as a nation, between the battle of Kosovo and the early 19th century. Songs are initially seen as a historical source, and this is why they became the basis of Serbian national ideology. The songs about the Battle of Kosovo have created the modern myth of Kosovo Serbs since the 19th century. Between the 19th and 20th century, songs were seen as a source of inspiration while Serbia sought to legitimize its territorial ambitions in Kosovo, Macedonia, and northern Albania. On the other hand, the songs of the Albanians became part of Albanian national culture only in 1930 and after the Second World War, in the context of developments in Kosovo. Albanian scholars have focused mainly on the Kreshnik warriors and connected the issue with the origin of Albanians. The argument was simple: the songs are old and Albanian, which demonstrates Albanians' autochthony in the Balkans. Both theories are based on the assumption that songs are part of a nation's cultural identity. Yet, several issues should be addressed: for example, in the cycle of Vuk Karadžić there is no song that describes the Battle of Kosovo. The cycle of Kosovo describes the moment before and after the battle, but not the battle itself. While Albanian songs focus on the battle as a clash between the sultan Murat and Miloš Obilić, Serbian songs refer to history but are not history, as highlighted by many Serbian scholars, such as Hilarion Ruvarac, Miodrag Popović, and Ivan Čolović. 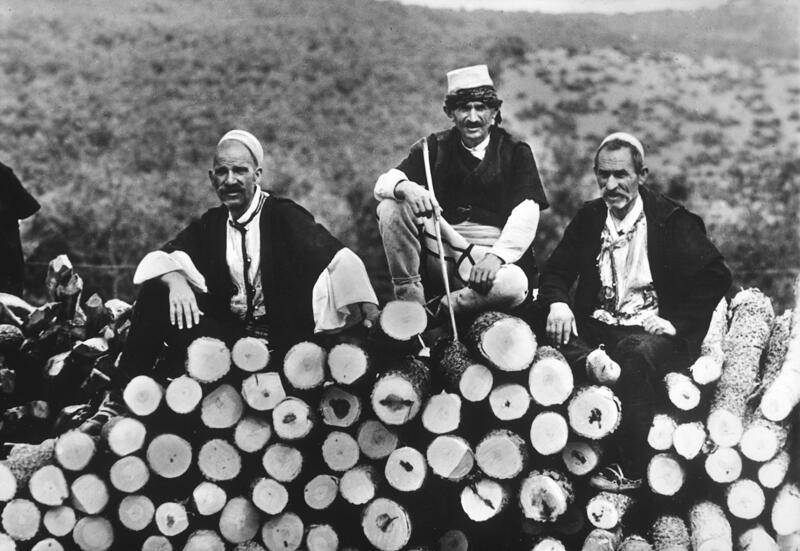 Albanian songs mostly tell of land and pastures, rather than battles in the name of the nation, and have a local character, though their geography is very broad and sometimes encompasses even Moscow and Baghdad. What is the etymology of the word Kreshnik? There are different theories in this regard. Yugoslav and then Serbian scholars traced back the origin of the term to the word Krajišnik, warrior of Krajina. Krajina means region, in this case referring to the cross-border region of the Hapsburg territory, now the Croatian-Bosnian border. Albanians, on the other hand, explain the term with the Albanian word Kreshta (top), since these warriors lived in a mountainous area. In my opinion, the Albanian explanation is not correct. How do Serbian-Albanian relations emerge in these songs? I do not know if we can speak of Serbian-Albanian relations in epic songs until the 19th century. Of course, they appear widely in history, especially in Kosovo, but not in the legend. Songs do not know the principle of the nation and therefore do not recognize neither a Serbian nor an Albanian nation. The word "Albanian" (shqip) appears only once in the collection "Visaret and Kombit" published by the scholars Palaj and Kurti, in 1937, while opponents of Kreshniks are Slavs, shkje. The term derives from the Latin "slavus" and thus means Slavic. It is now used by Albanians to indicate all Slavs, even Orthodox. In Kosovo today the term has some negative connotations, like Shqiptari in Serbia. So, does this Kreshnik/Shkje opposition contain a trace of the so-called atavistic hatred as nationalists argue? No, one can not speak of ancient hatred in these songs – in fact, the rival warrior is praised in the same way the main hero is. What makes them "hate speech" is the interpretation, the connection with the modern political, national, or nationalist contexts.